So i finally had an opportunity in late February to travel down to El Chalten to do a mountaineering expedition with a bulgarian geologist and my friends Cuto y Pascual at Kalem Tourismo (click photo for Album). The trip was unbelievably scenic and we had perfect weather. It was also tough because we all had to carry several kilos of rocks on top of all our mountaineering gear. 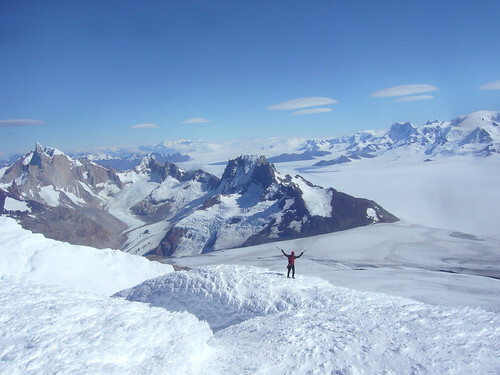 This entry was posted in Mountaineering and tagged Campo Hielo Sur, El Chalten, Fitz Roy, Gorra Blanca, Patagonia, Southern Icefield by zkruz. Bookmark the permalink.